A loop road does allow eastbound traffic to get back to the roundabout, although it's not easy to find and the site isn't signed in this direction. The A2 Jubilee Way out of Dover opened in 1977. A narrow piece of land next to the Duke of York Roundabout was later used to develop the service area. 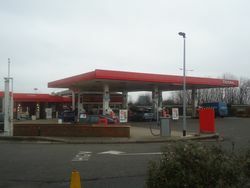 The petrol station was originally operated by Total. 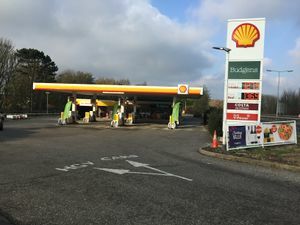 It was handed over to Shell in 2012 and refurbished with new pumps and tanks, whilst the shop was rebranded to Select and the jet wash removed. In early 2018, the shop was refurbished once more and is now a Budgens convenience store.